Replacing the air filter on a car is usually a simple procedure and can be done by most any home DIYer. 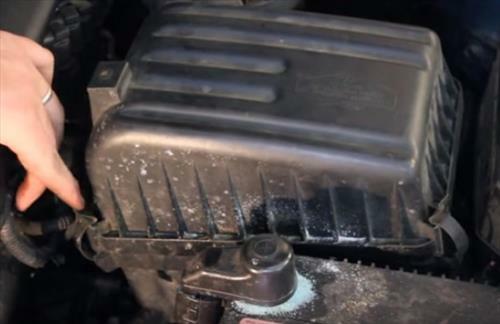 Air filters are placed on a engine so it doesn’t pull in dust or any debris that can damage the motor. Filter replacement depends on the car but is generally done every 15,000 – 30,000 miles. The first thing is to locate the air filter box which will have a large intake for air to flow in. 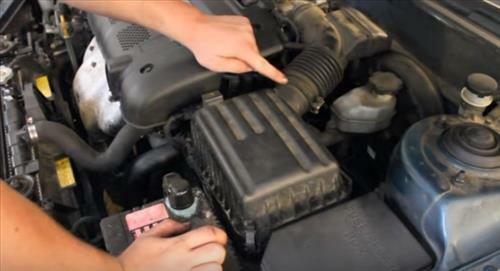 The air box location will vary from car to car but the same principle will apply. Once the air box is identified clips or screw will hold it in place and need to be removed. After the clips or screws are removed the cover should come off. Once the air box is open the filter can be removed. Inserting a new filter is simply the reverse of the steps above. 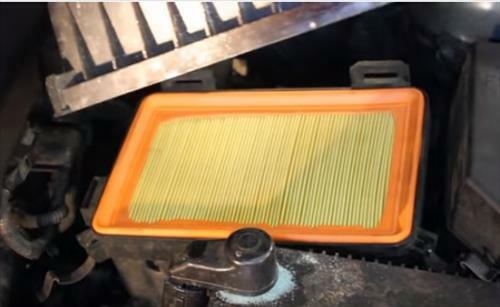 Replacing a air filter in a vehicle is a routine maintenance than most anyone can do. There are some cars that will make removal more difficult by having lines in the way but the procedure is basically the same. If you are unsure where your air filter box is located use the Google image search which should guide you to the right spot. Alternatively vehicle manuals can be bought which will show a step-by-step procedure for your particular car or truck. Buying a new filter is also easily done from any auto part store or even online on Amazon or eBay. Sometimes the old filter will not be that dirty and can be reused although it is best to replace it. Air compressors can blow small amounts of debris from a filter that is mostly clean. If you live in a desert area were a lot of dust is blown around than replacing a filter will need to be done more often. Doing your own basic car maintenance such as replacing the air filter is a routine job that most anyone can do, and a great way to save on cost. As always go to a professional if you have any doubts. To keep your vehicle’s engine free from getting any damaged of clogged it is necessary to do its maintenance by a car expert. 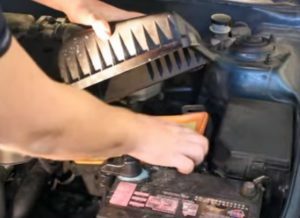 One of the most effective way to keeping engine free from any damage you need to replace old air filter with a new one. Filter replacement depends on the car but is generally done every 15,000 to 30,000 miles. If you have basic idea about taking care of your car’s air filter and it’s maintenance do it yourself to get better result otherwise take help of a car mechanic. I seen your video on YouTube, I’m changing the air filter on a 2004 Mitsubishi endeavor. I can’t get the two halves of the box to line up after I put the new filter in.